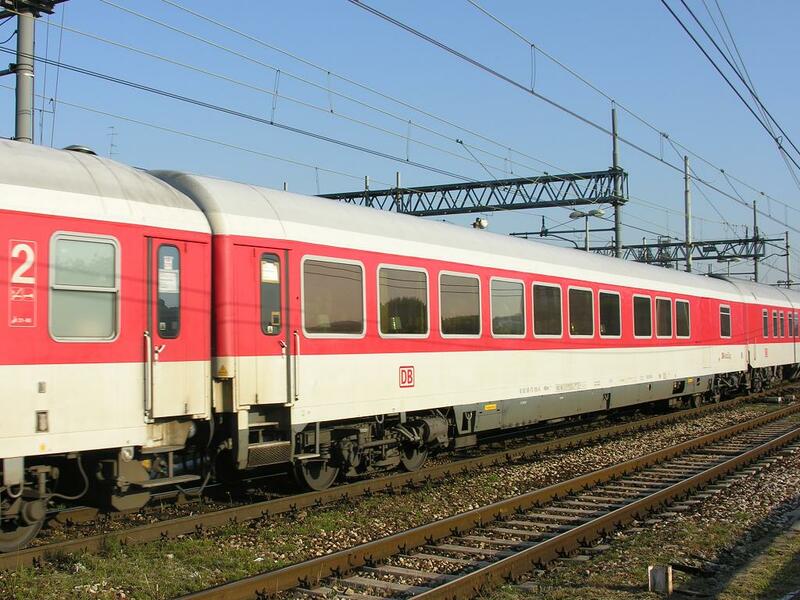 DB AutoZug WRmz135.0 61 80 88-94 304-7, 23-07-2005. DB AutoZug WRmz135.0 61 80 88-94 304-7 in Lindau-Reutin, 23-07-2005. 56 80 88-95 001-5 WRmz 135. 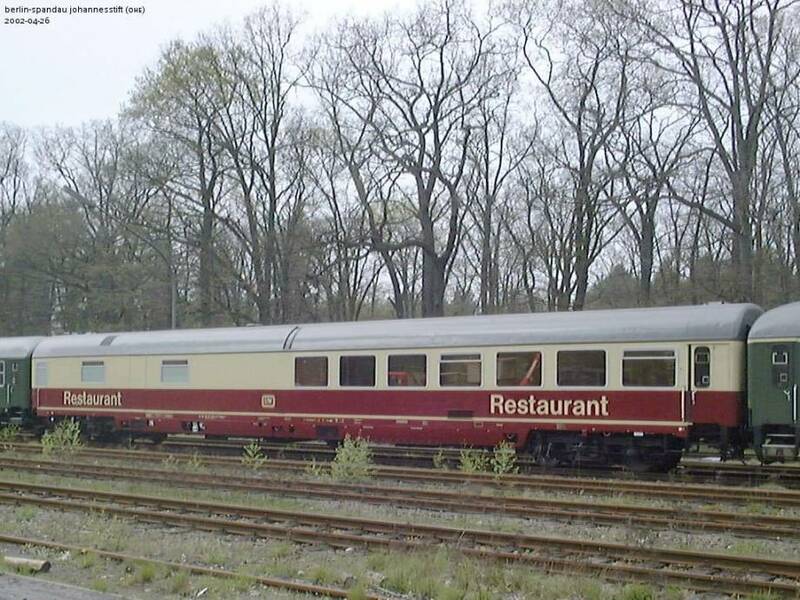 One of two identical restaurant cars in this train. 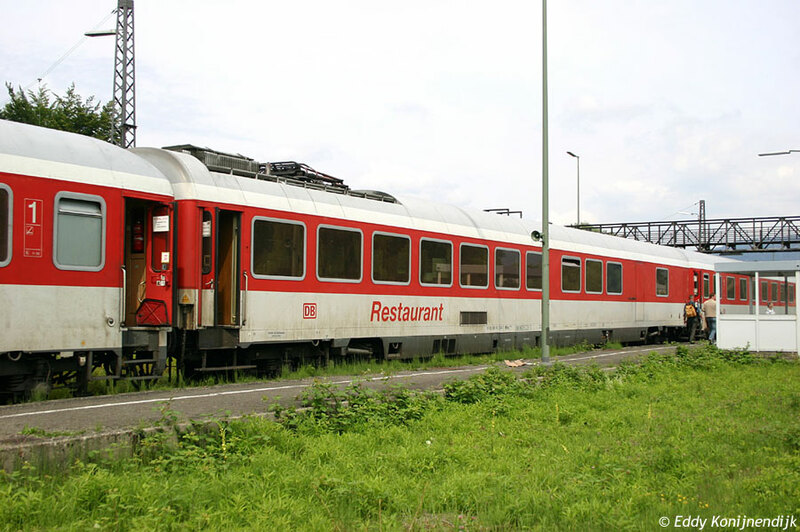 The WRmz 135 (with pantograph to allow continuous cooking even when no locomotive is attached to the train to provide hotel power, such as during the locomotive change in Frankfurt(M) or Stuttgart) is only equipped for 1000 V 16.7Hz power supply, so can only operate in Germany, Switzerland and Austria. 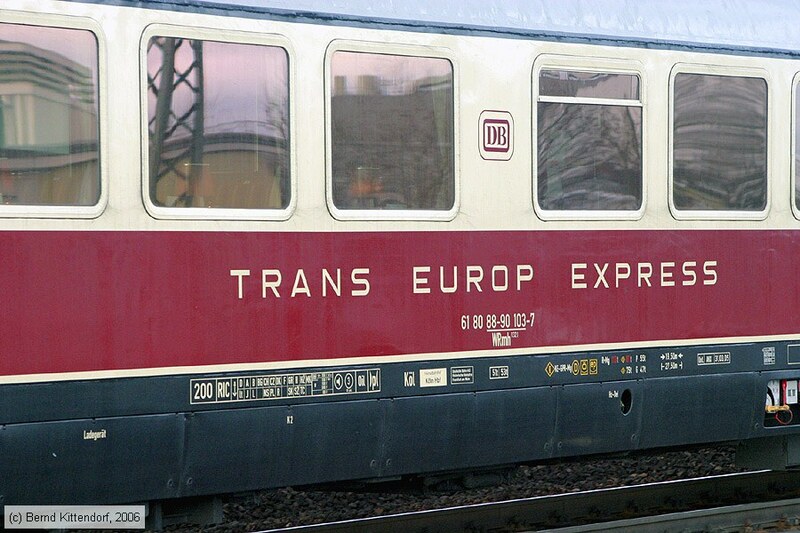 It was intended for Intercity trains (not TEE), so the Trans Europ Express inscription is not historically accurate (the original WRmh 131 with doubledeck kitchen under a roof hump and some WRmh 132 had this inscription in the early 1970s when the DB took them over from the DSG). Selzthal, 2012-05-26. 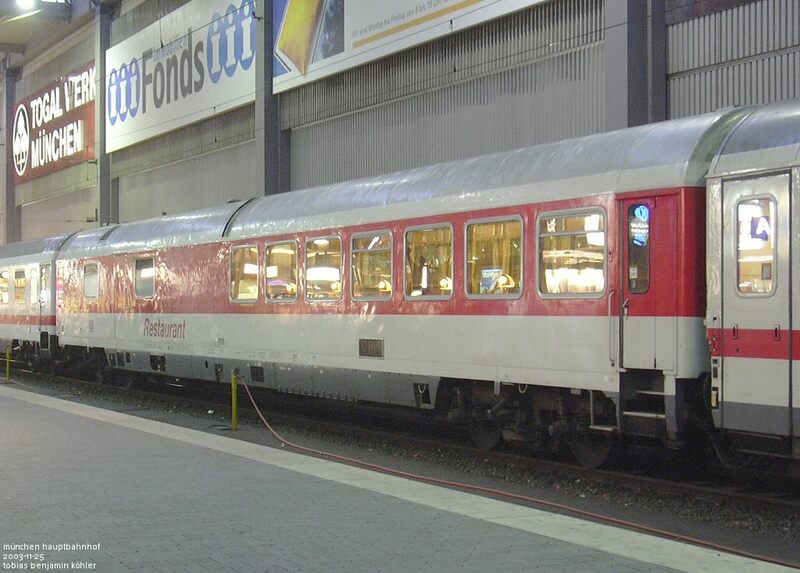 DB Autozug speisewagen WRmh132 in einer Autozug in Hamburg Hbf, sept. 2002. 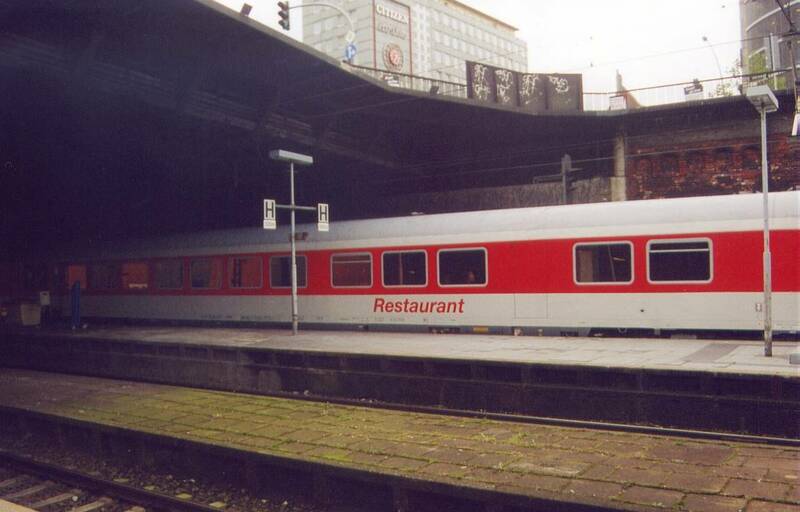 DB Autozug Dining car type WRmh132 in Hamburg Hbf, sept. 2002. DB - 61 80 88-70 105-6 WRmh132. 2007-07-14. Milano Lambrate. Photo by M. Rinaldi (mackx@libero.it). 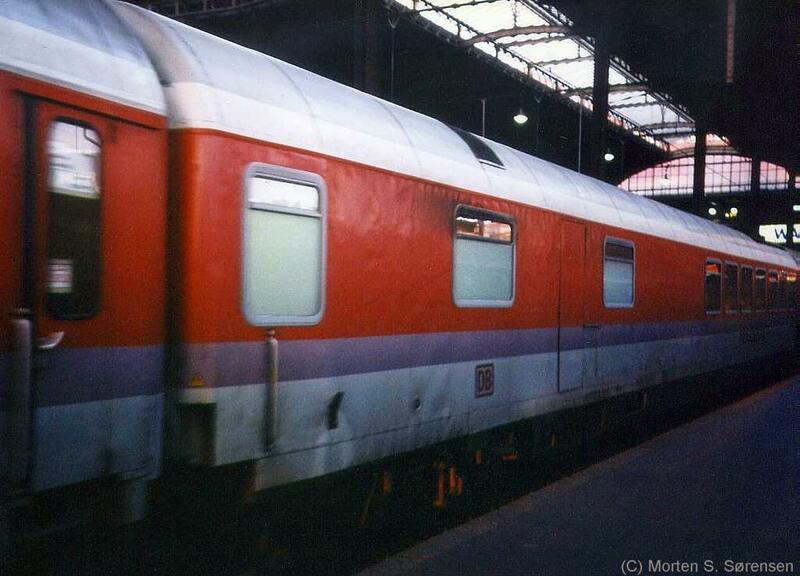 DBAG dining car WRmh132 in traffic red/light grey livery. "Light" modernization (new seat covers and table lights), but original kitchen with gas stove. Top speed reduced from 200 to 160 km/h. 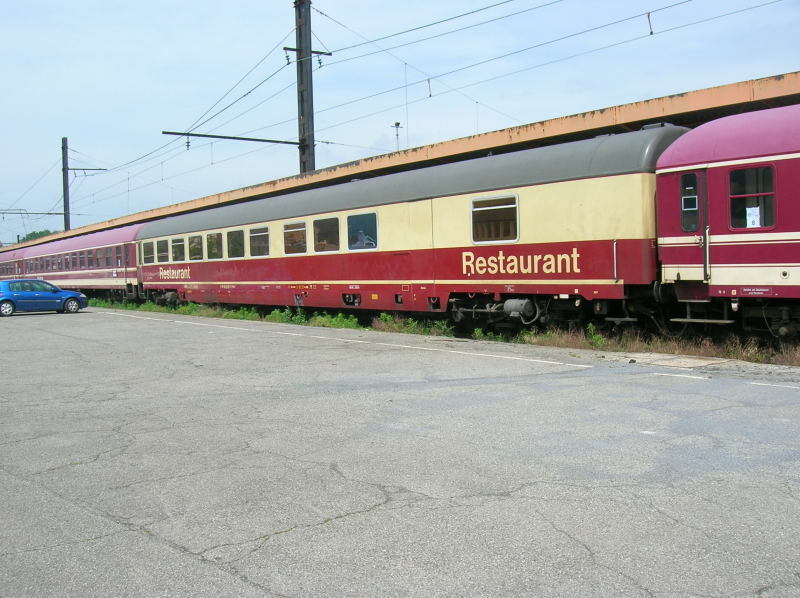 Only a few of these cars remain (many have been rebuilt to WRmz133/134, others decommissioned). 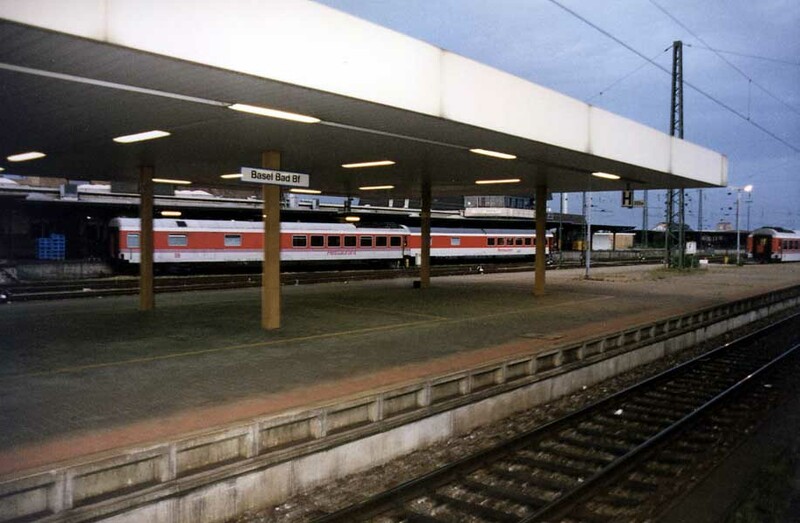 FR 21.05.1999 am späten Nachmittag in Basel SBB. 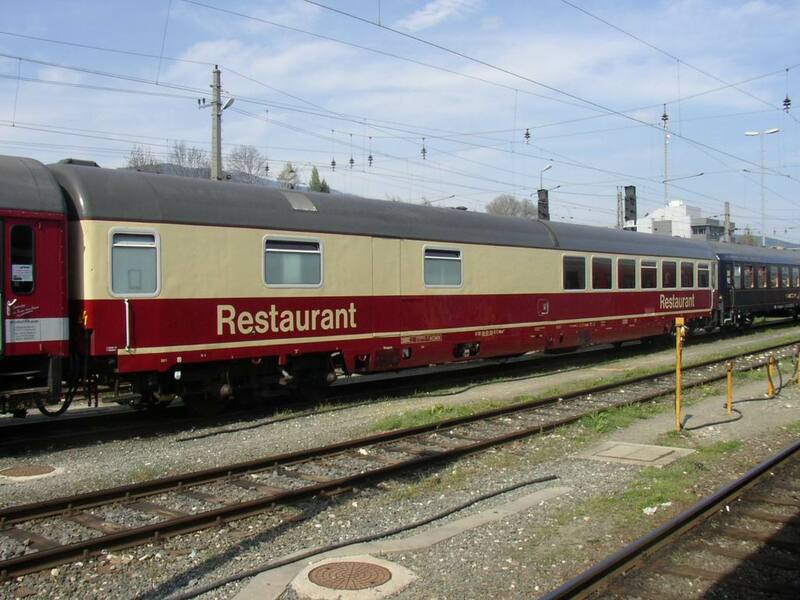 Dieser erneuerte Restaurant-Wagen wurde dort abgestellt. 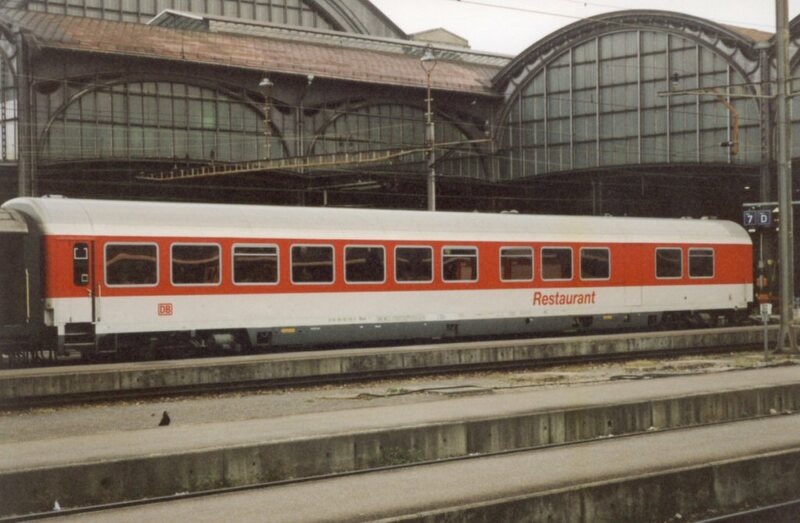 DB Dining car WRmz 135 in a german IC-train in Basel, summer of 1995. 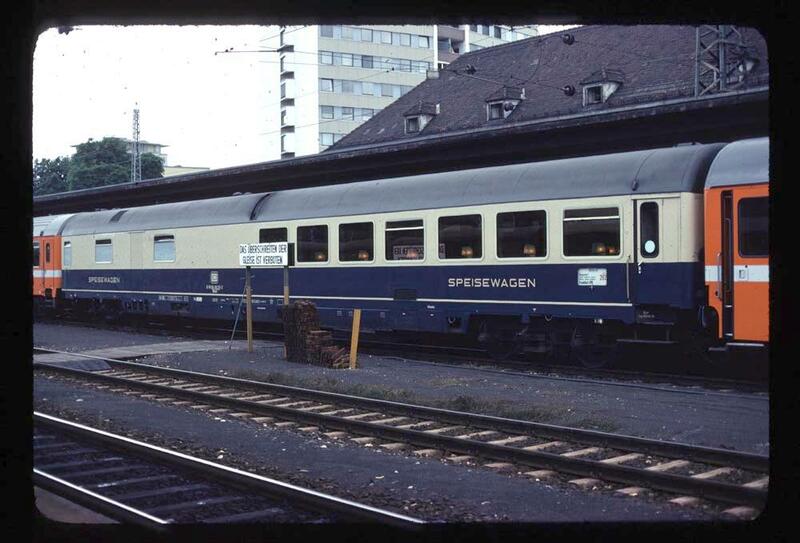 DB Speisewagen WRmz 135 in ein Deutscher IC-zug in Basel, im sommer 1995. 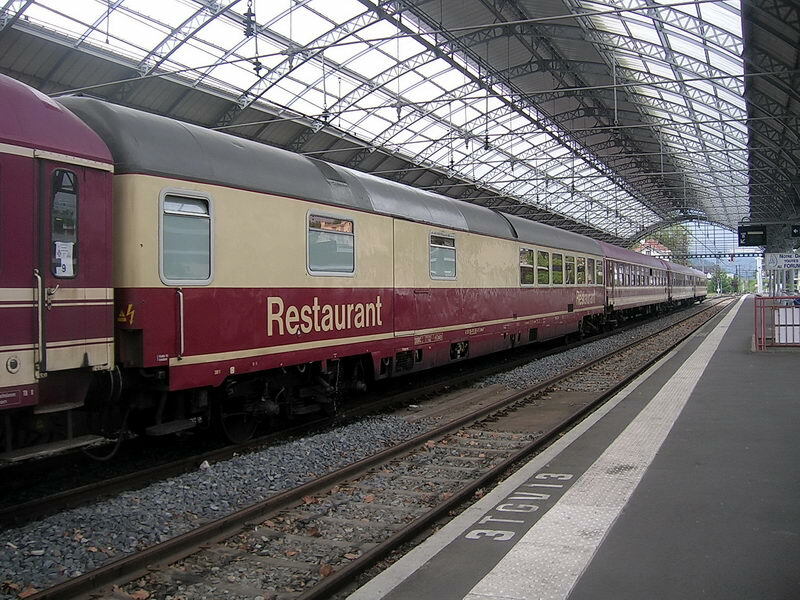 Très belle voiture restaurant allemande à Lourdes. 27 mai 2007. 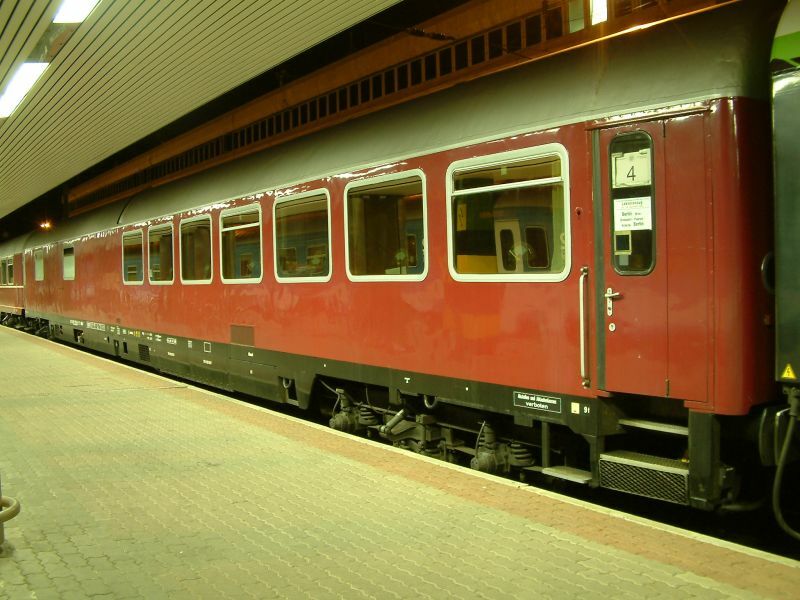 Tourist train with interesting ex DB cars in Budapest-Déli, 25.09.2003. Trans Europ Express Speisewagen 61 80 88 90103-7 (Typ WRmh132.1), aufgenommen in Ludwigshafen Hauptbahnhof am 02. April 2006. Beschriftung am Trans Europ Express Speisewagen 61 80 88 90103-7 (Typ WRmh132.1), aufgenommen in Ludwigshafen Hauptbahnhof am 02. April 2006. Unterwegs im D-Zug 203 Amsterdam CS - Basel. 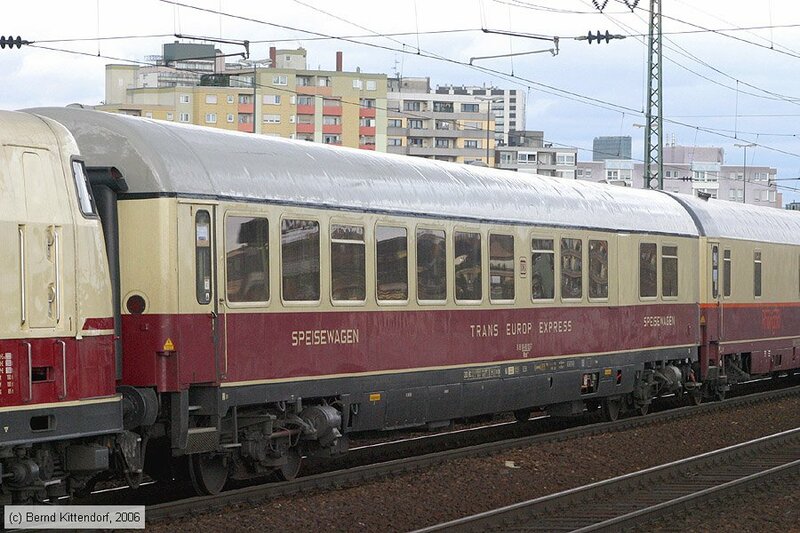 Zwei Speisewagen am Morgen im Bahnhof Basel Bad Bf. 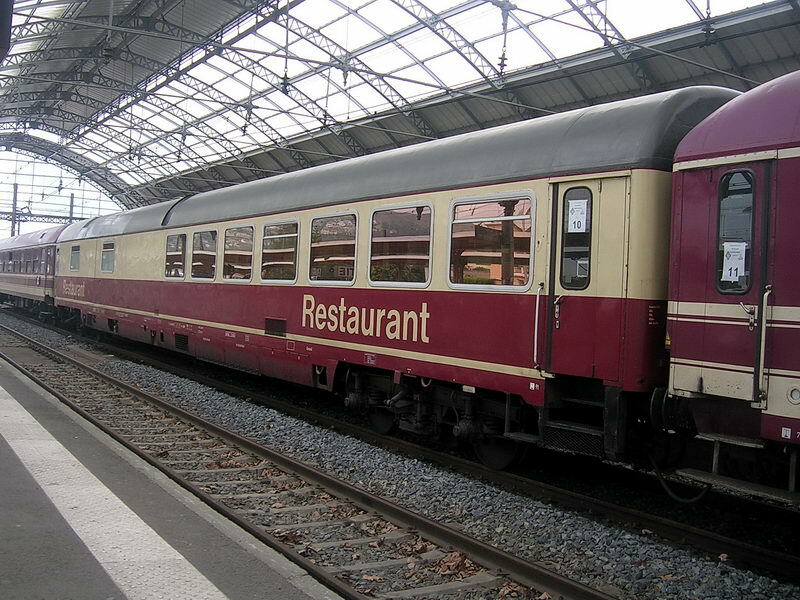 Two restaurant cars in the morning in the station Basel Bad Bf. 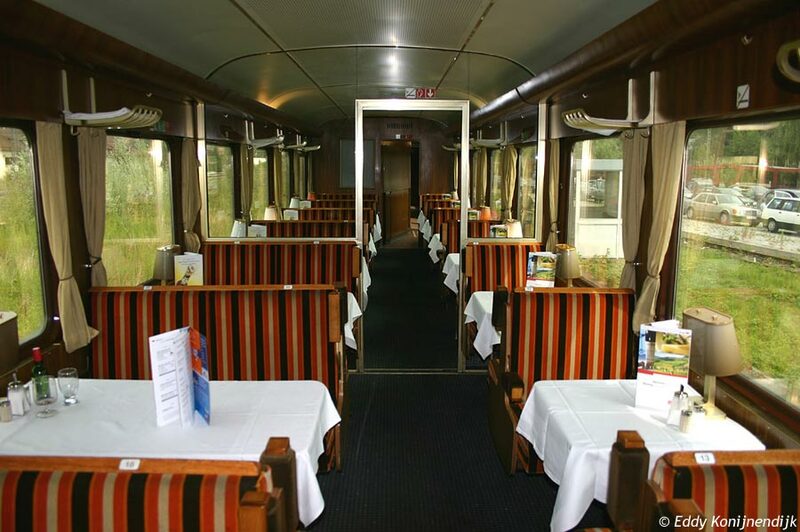 Photo shot from fast train 203 Amsterdam CS - Basel. 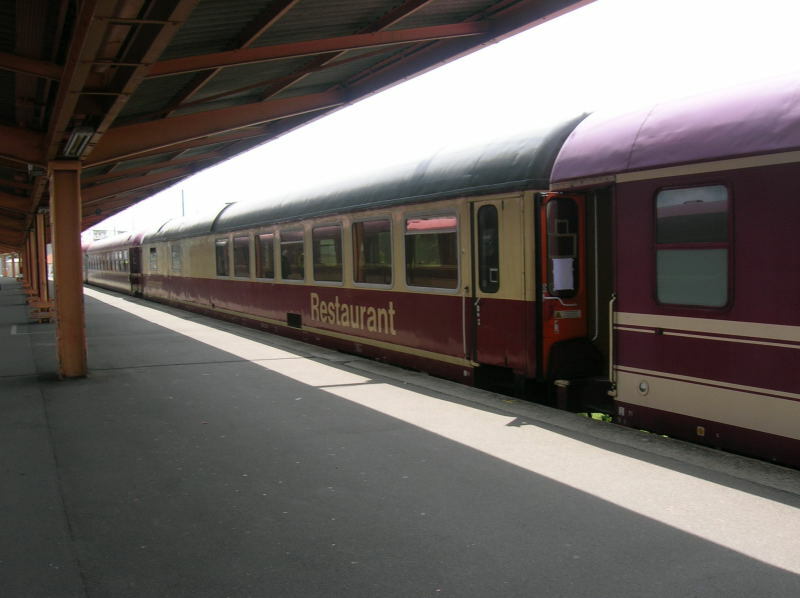 Wagen der Centralbahn AG abgestellt am Augsburger Hauptbahnhof. EC 105 is passing near the town of Istein.